Don’t be scared – numbers are our friends. And they’re very funny. A fresh look at maths. What do you get when the Horrible Histories camp decide to tackle numbers? 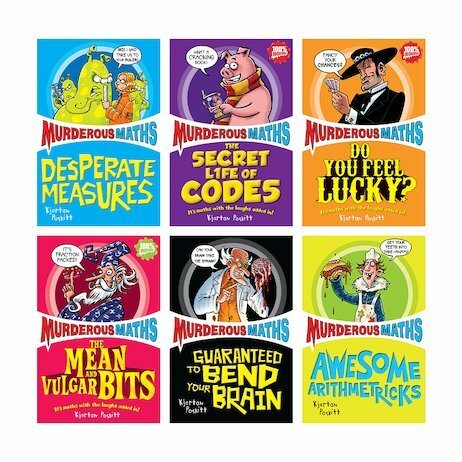 A maths series that’s wickedly funny, and nuttier than a jar of peanut butter. The characters in these books might look scary. But the numbers are so tame they’ll sit and eat bird seed from your hand. No more wrestling with tricky sums. They’ve never been so easy (or so funny). And you’ll need them for school – so don’t be nervous. Come and make friends with maths.